It's the night before the Big Day—-first grade! Penny is excited to start the year with her best friend right beside her in the same classroom. 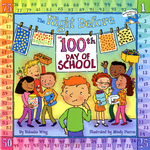 This humorous take on Clement C. Moore’s classic tale has a perfect twist ending that will surprise readers —as well as the "heroine" of the story— and help all about-to-be first-graders through their own back-to-school jitters. I wanted to capture the panic of being split up from your best friend when you're put into different classes, but then the joy of making new friends. 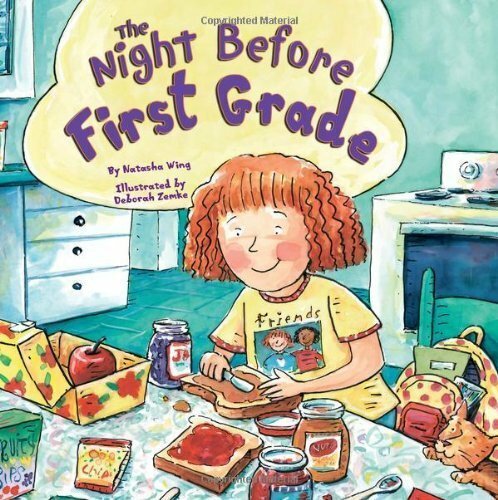 This book is a nice follow-up for kids who have read my The Night Before Kindergarten book.